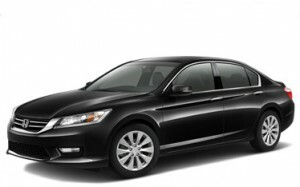 Is the 2015 Honda Accord EX-L Right for You? When you go shopping for a new mid-size car in Central Illinois, we hope that the 2015 Accord is at the top of your list, but even after you’ve decided on the latest model of Honda’s famous car, you’ve got to choose the right trim level. Though you have five different trim level options on the sedan, we think you’ll appreciate the 2015 Honda Accord EX-L for the way it strikes just the right balance between affordability and elegance. While we know that there are some drivers out there who need to have the top-of-the-line trim level, we also know there are those of you who just want a nice selection of comfort and technology features that put you above the entry-level models. And that’s why we’re recommending the EX-L.
Like we said, the Accord Touring isn’t a bad choice if you want to just go all out, but we think that the EX-L is the right choice for so many more drivers because of the way it lets you choose the smaller engine or the V6 depending on what kind of car you prefer. These are just some of the features that are setting a new standard for “standard features” across the auto world, starting with the Accord. Though the 2015 Honda Accord EX-L is one of our most popular models, we know that you might prefer one of the other four trim levels. Let us help you find the right Accord for you; visit a Central Illinois Honda Dealer today for a test drive. 0 comment(s) so far on Is the 2015 Honda Accord EX-L Right for You?